Have an MBE 9A4 that after a number of years or relatively trouble free running just decided to crap out. All the sensors into are reading max readings and the ECU itself says it's receiving 20.00v (presumably the max the channel can display). Multimetering the wires it's getting 12v as expected. Has anyone come across this before and can shed any helpful light on it? Long shot this, but does anyone have a list of what voltages they see on their loom with the 9A4? Did you open it and have a sniff? Looks like it's the 5V regulator that feeds the reference voltages, doesn't it. 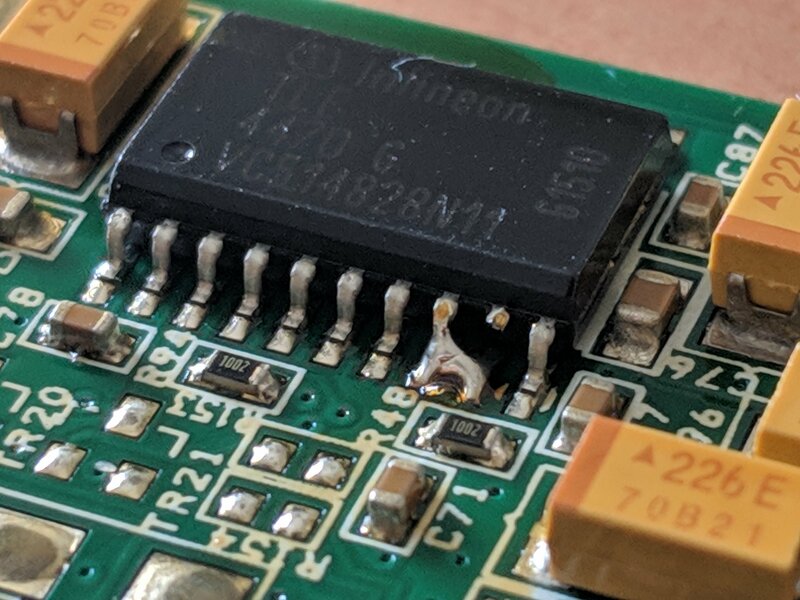 Hmm, on inspection of the board, I can see a broken/melted pin on the TLE 4470 G, says that is a "Dual Low Drop Voltage regulator"... Semi sure that was replaced about three years ago. Think it might have gone again. Do you have that datasheet handy? Would like to see it. Get's weird. 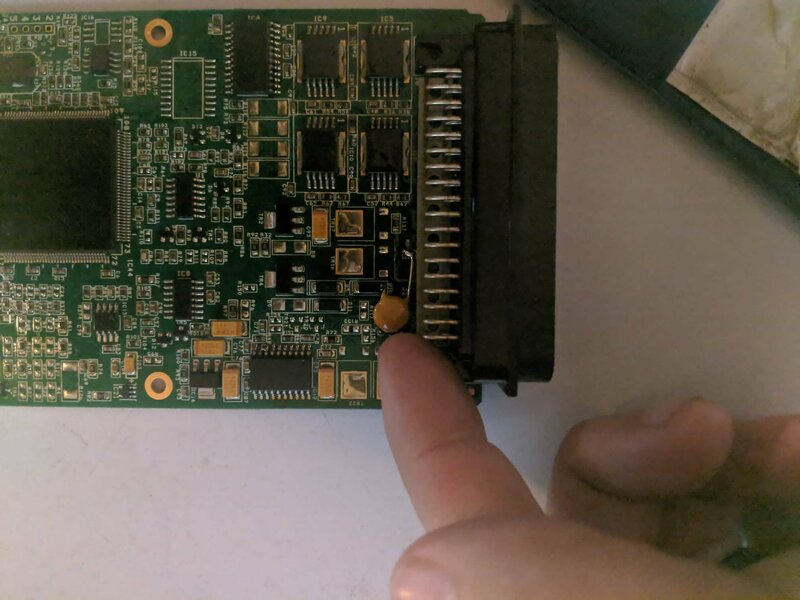 I found a photo from the initial failure of the chip. 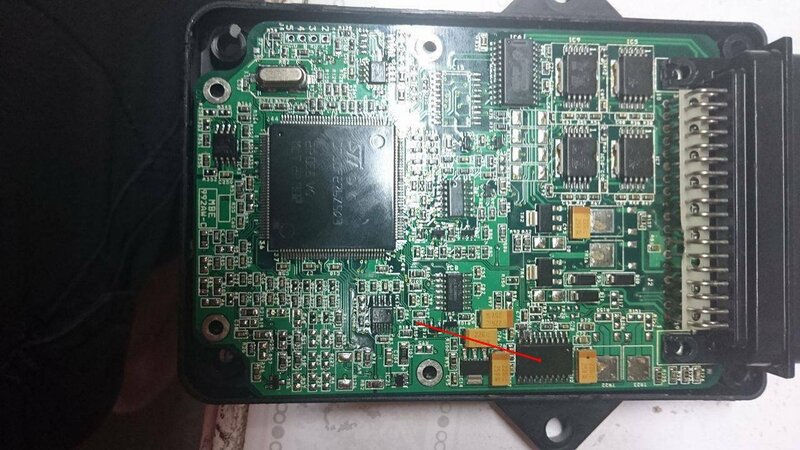 Can see the heat/failing of the arms into the chip (Dec 2015). I have a receipt for the ordering of a replacement chip for (Dec 2015) it but then the trail goes dead. Furthermore, examing that pic above, to the current pic below an extra capacitor has been put in. I literally have no recollection, or idea of who would have the knowledge to do this. I'm totally confused :-/ Can't find any emails/messages for who did this work, if it was sent out, etc. Probably just clutching at straws, but the soldering doesn’t look well flowed to me. Might be worth a quick re-flow before trying anything else? The shorted leg looks deliberate to me. It’d be a pretty unlikely scenario that resulted in what you see there IMO. The solder is still nice and shiny and even has traces of flux on it the look, not likely if it’s been cooking for a period of time., it would be grey and dull. Yep, that looks like a deliberate mod to me. Is it possible that something's shorting the 5V reference line from pin 4 to ground somewhere in your loom? That would affect the reference voltage to the on-board ADC and every analogue reading in the ECU would then be out, which looks like your symptoms. 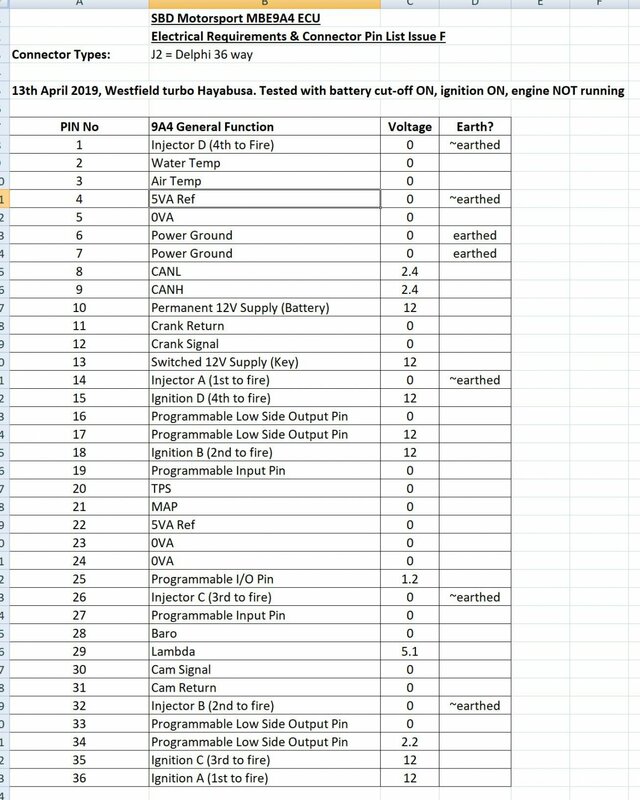 Can you power up the ECU off the car by connecting a low current 12V supply to the two +12V inputs with ground to one of the 0V lines, and see if you get 5V on pin 4 then?